This Summer we were lucky enough to be invited to the magnificent Le Méridien Spa and Resort in Limassol Cyprus. Having stayed in hotels belonging to the Le Méridien group before, we knew what to expect in terms of quality and service. Le Méridien Limassol takes these expectations to a new level. Upon entering through the gated residence style entrance, you pass well-maintained gardens, waterfalls and walkways, and up to the hotel entrance after a minute or so. Typical Le Méridien staff are ready to greet you and help with luggage (which can be blessing in the scorching Cypriot heat, we were there in August). As we entered the lobby, we were impressed with the thatched style roof which filled the entire lobby area with natural light. We were shown to reception where a team of staff welcomed us with drinks and authentic Cypriot hospitality. Check-in took just a few minutes, and the lady helping us answered any questions we had. We stayed in an apartment on the ground floor, which was in a complex shared with 8 other families, within which was a private swimming pool. The apartment was a duplex with two bedrooms, an upstairs bathroom (balconies in both rooms, but highly secure to prevent any little ones escaping! ), and a huge living area with dining table large enough for six people, a bar area for adults in the evenings and patio doors leading directly to the pool a few steps away. Our dwellings were cleaned daily and to a very high standard. Housekeeping tends to run for a few hours so if it’s inconvenient first thing in the morning, we found them more than willing to return later that day. The apartment had Wifi as well as ethernet access for laptops, which we found to be more adequate for web browsing and checking emails. The internet connection at the hotel in general was not adequate for streaming services such as iPlayer or Netflix for the children though, and renting movies using the in-room TV was very costly at at least 10 Euro’s per film. Room service is available and is reasonably priced. We found the menu contained a good range of food from pasta dishes to high quality fillet steaks – without any ludicrous hotel pricing. We would highly recommend families to go for the breakfast option in the mornings. Served next to the largest pool on the complex, it is truly bountiful. Ranging from American cooked, continental, traditional Greek (our children loved the Halloumin cheese, Gaboussin, sausage, tomato and cucumber with the Greek breakfast), cereals, fresh fruit juices etc. The staff are wonderful and are used to dealing with children, accommodating even the most outrageous of requests! Several worldwide English/Spanish/Italian and Greek language newspapers are available in the breakfast area free of charge. The resort has several restaurants to choose from, ranging from Italian, traditional Greek, Japanese, Oriental and general European. Quality and standard is EXCELLENT with everything we tried, and service is out of this world. The waiters, waitresses and manager’s are on hand to assist with all requests and – unusually for a 5 star resort – we found the food and drink to be very reasonably priced, especially considering the quality. For English guests, we would recommend against ordering traditional European beers as they are extremely costly on the island. Why not try the excellent KEO beers which are light, delicious and half the price? Our favourite restaurant at Le Méridien Limassol was the Greek Taverna La Vieux Village. Open from 7pm each night, we sampled fantastic takes on classic Greek dishes ranging from Souvlakia, Moussaka, Kleftiko, Greek Meze and more. Portion sizes are beyond generous with the whole family satisfied each time we visited. As a special treat for adults, we would also recommend booking a table at the Italian restaurant La Trattoria which sits at the end of a beautiful bamboo pier a few metres into the Ocean itself . The cool breeze and calm setting may not be ideal for children (Le Méridien Limassol offers a full babysitting service, details to follow), but is perfect for a romantic dinner after a hard day spent lounging around and de-stressing whilst the children enjoy the fantastic Kids Club. We enjoyed several evenings here and sat for hours enjoying the fantastic views over the Mediterranean, the cool sea breeze and the lack of any children within earshot! 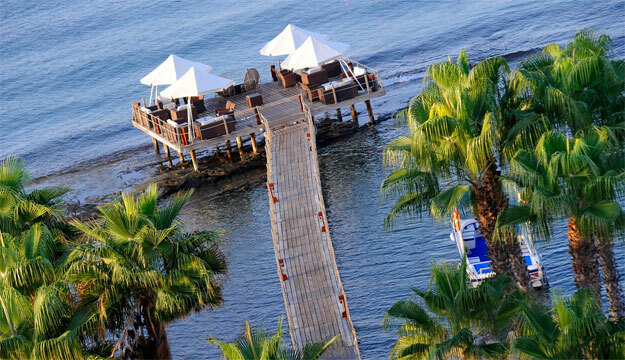 Le Méridien Limassol has several pools, bars, restaurants and relaxation areas, not to mention it’s own shopping mall with high-end brands and designer clothing, along with waterport facilities on the beach. There is also an excellent ‘Adults Only’ area, with waterfalls and a small laguna. Relaxation is the name of the game here, but if you are looking for city exploration you can pick up a licensed Cyprus Taxi from outside the lobby for less than 15 Euro’s into Limassol town centre. All Taxi’s are run by by a firm closely affiliated with Le Meridien Limassol, so you can be sure of safety and honesty from the driver’s. The hotel runs a timetable of activities each day if you fancy some routine to your holiday, with pursuits ranging from windsurfing to pottery or Aerobics in the main pool each morning. Each evening we found a themed performance or show in the shaded auditorium area, which kept the children and ourselves entertained until 10pm each evening. An important point to mention here, is that we did not encounter any large groups of young people or raucous behaviour. Most of the guests we met had children themselves, so we felt that ours were very safe the entire time they are there. Le Méridien Limassol does not encourage any kind of drinking culture at all, although alcohol is of course freely available. The jewel in the Crown of this hotel is it’s fantastically equipped Penguin Kids Club. Running from 10am each morning until 7pm at night, you can drop your little ones with experienced and friendly childcare staff whose job is solely to look after children. There is a separate area for babies which is heavily staffed and another area for children aged 3+ . Activities ranged from swimming, painting, hide and seek, arts & crafts, athletics and more. At lunchtime, the Penguin staff take the children to the specially built ‘Mickey’s Children Restaurant’ where the kids can enjoy the very best in Kids’ cuisine!Our 2 year old especially enjoyed the mountains of fresh Tuna, cucumber and fresh Greek olives on offer every day! Although not free, we found the service to be excellently priced with the children throughly enjoying themselves each time they visited. The club provided us with an opportunity to relax and recharge with the knowledge that the children were having a fantastic time. Le Méridien Limassol offers a full babysitting service, using only qualified and experienced personnel from the hotel’s existing roster of staff. Most of whom came from the kids club and were familiar with our children, having worked with them during the daytime. We found the ladies who looked after our children on two occasions to be highly professional and trustworthy. They were relaxed and assured us that they would call if one of the chidlren woke up. We also benefitted from their in-depth knowledge of the resort so were able to take full advantage of everything on offer whilst we were child-free! Cyprus in one of the few places in Europe where you are guaranteed non-stop sunshine during the Summer months. Temperatures range from 30 to 39 degrees celsius between July and September. Limassol is the largest city on the island of Cyprus, and is full of markets, shops, restaurants and bars. You can reach the town centre within 15 minutes in a Taxi from the hotel or take the number 30 bus which stops outside the hotel and takes you right into town for just 1.50 Euro’s. The buses are modern/air conditioned and only take a few minutes more than a taxi. 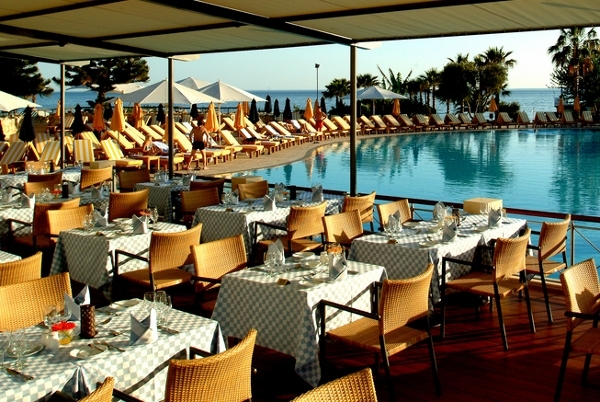 Le Méridien Limassol is an absolutely fantastic holiday resort for all the family. Catering to the higher end of the market, we found the price to be reasonable but extremely good value for money. 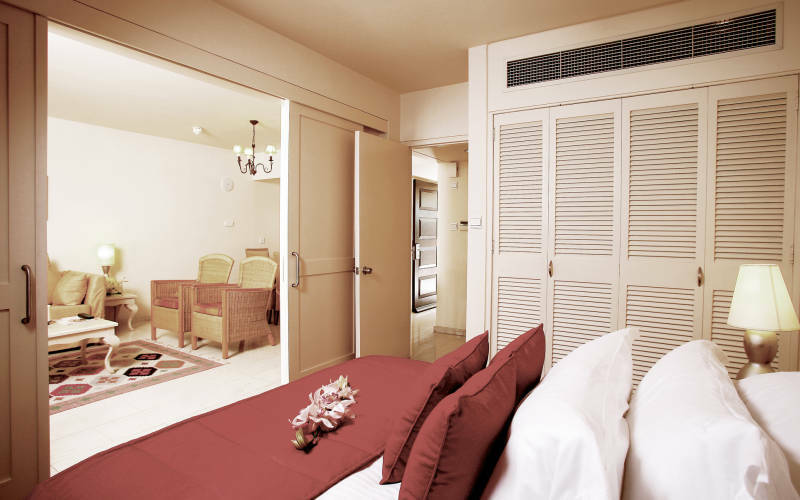 The scenery is breathtaking, the service outstanding and the attention to detail very welcoming. Our whole family thoroughly enjoyed the experience and would certainly visit again – at any time of year. The standout features for us were the Penguin Kids Club, the amazing restaurants and the Cypriot hospitality; all topped off with the incredible service you’d expect from a Le Méridien resort.